Home / Paralegal / How Long Does It Take To Be A Paralegal? 1 What is the timeline to become a legal assistant? 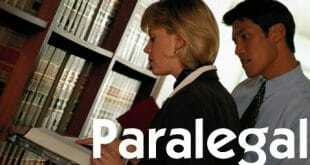 2 So, How Long Does It Take To Be A Paralegal? 3 Make a plan, search for top notch paralegal programs for the money! 4 Evaluate the pros and cons! 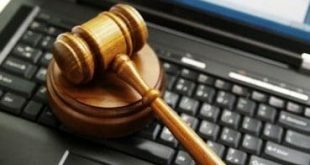 What is the timeline to become a legal assistant? Perhaps you have been involved in a lawsuit, and were impressed with your attorney’s legal assistant. Maybe you have a love for the law, but can’t afford law school. Whatever your reason, being a paralegal can be one of the most fulfilling jobs around, and the most heart-rending. In order to become a paralegal, much like most things in life, you must be dedicated and have some determination. Some people believe they can just apply for a job and then get it, but you need to know how much effort required and how long it takes to become a paralegal. Most of the time, training or a degree is required. So, How Long Does It Take To Be A Paralegal? When it comes to being a paralegal though, a four-year degree isn’t necessarily a requirement, but a certificate or other training will be. Getting an associate’s degree will require two years of study on average and some of the certificate courses for paralegal are shorter than getting an associate’s degree. How long it takes you will depend upon how much time you have to dedicate to the required education and when you will be able to begin your certification and the necessary training. You may even have some online options available to you that can be convenient. You will be able to continue to be able to work full-time while completing your certification for paralegal at nights and on the weekend. Make a plan, search for top notch paralegal programs for the money! Before you decide to make the plunge, check out what your state’s requirement is to be called a paralegal. In a few states, a state certification is required, as well as continuing legal education classes (CLEs). However, in most states in the US, a paralegal is one merely by benefit of saying he or she is a paralegal. That’s right. There are no real requirements to hold the title, only the willingness of the employing attorney to refer to one as such. That said, in order to do your best job, and to get the best income, you’ll want to get some real training. Your choices are wide-ranging. Some schools offer an eight-week class in order to get a certificate. Others require nine months for the same certificate. You can also opt for an associates degree at your local community college. Each path has its benefits. A very short class will teach you the most fundamental things. How to turn on the computer, how to draft a core document, and how to put together a file. The longer certificate class goes into a little bit more depth, but still lacks much of what is needed in most law offices that utilize the paralegal’s skills to the best of their abilities. In the two-year degree program, particularly if you attend an American Bar Association approved school, you will not only pick up the basics of litigation, but you will be sent into courtrooms to observe, and to brief what you have seen. You will be interviewing judges and clerks. You’ll learn to perform title searches. Another advantage of the degree track is that you will have the benefit of taking composition classes. Yes, you’ll have to take algebra, which you will most likely never use. Get over it. Revel in the writing classes you can take, and learn how to put together a proper paragraph, how to craft an essay, and how to tell your story from beginning to end in a logical, coherent manner. Yes, that sounds strange. What does story-telling have to do with working in a law office? A lot, actually. You must tell your client’s story to the judge in a clear, concise manner. A skillfully drafted petition can mean the difference between winning or losing. The second option has more teeth and makes a greater impression. Without the appropriate training in the linguistics arts, you won’t be able to put together such a meaningful, forceful pleading. Evaluate the pros and cons! Before you make any investment in any sort of education though, you must first find out the cost. Find out what you would pay, versus what you will recoup once you have that certificate/diploma. Paralegals earn between $40,000 to $80,000 a year in some major metropolitan areas like Los Angeles or New York City. You may make that kind of money. But in most places, paralegals’ earnings tend to top out at around $30,000. So, knowing that now, why on earth would you decide to become a paralegal? You will be helping people out of dreadful, horrendous situations. You will be working with attorneys who will depend on your expertise. You will be going into courtrooms and assisting your attorney in prosecuting your client’s case to the best of your abilities. The feeling you get when your client regains custody of his baby, following the mother absconding to another state with the child is the very best in the world. The way your clients react when their personal injury case is settled, and you have them the check, can make your week. The expressions on the faces of the new adoptive parents is something money won’t buy.